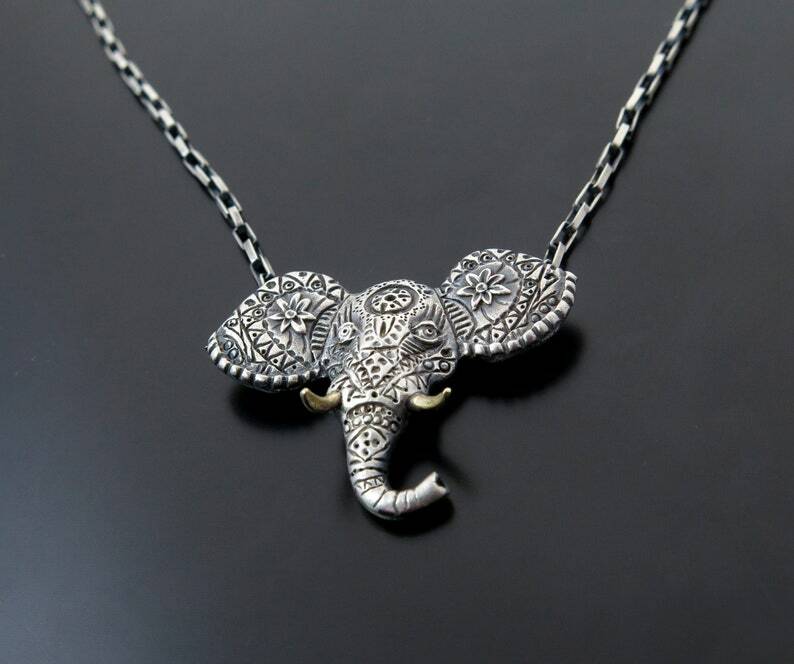 Handmade silver elephant head pendant- elephant necklace. This pendant was made by me, I was inspired by Indian elephants which are gorgeous. I sculpted it carefully and cast into silver 925. Elephants are smart animals in India they represent wisdom, divine knowledge and royal power, so this pendant has a really deep meaning for the owner. This necklace is a piece of art. This is a great gift with deep meaning for someone you love.